The Daniel W. Mead prize was established in 1939, and is annually awarded to the author of the best paper on professional ethics in civil engineering. “Engineering has evolved over time largely in part to the efforts of Daniel W. Mead,” explains Ms. Mayer. “He was tasked by ASCE to develop ethical guidelines that would meet the needs of all members of the profession. These efforts have evolved into the current ‘Code of Ethics’ that all in the profession should hold paramount to ensure the safety, health, and welfare of the public”. Universities tend to recognize and reward faculty with published scholarly works; not educators with practical industry experience and licensure. Over time, an obvious development of disconnection has occurred between industry experience, faculty qualifications, and licensure at institutions. Ms. Mayer argues that educators are not only responsible for teaching proper technical material, but educators also serve as role models. So, while some professors are not directly involved in the practice of engineering, educators have an ethical obligation to obtain their license. Meanwhile, Universities should place more emphasis on professional experience. Even though they are not clearly involved, professors’ influence on students have a direct impact on society. Engineering faculty act as role models for engineering students that aspire to become licensed. Nevertheless, if the public holds future engineers to licensure standards their educators should be held to the same criteria. Ms. Mayer’s full paper will be available to read on the ASCE website. What inspired Ms. Mayer’s essay response to this year’s topic? “Coupled with research, my personal pursuit to obtain a P.E., and viewpoints I held over from college all compiled to formulate my response to the Mead paper’s topic this year,” she explains. Ms. Mayer has over 10 years of engineering experience, and is currently an asset integrity engineer at Williams, Pittsburgh. She previously worked as a project engineer at KU Resources, and a staff engineer at Phillips and Associates. She is an active member of the Diversity Committee at ASCE-Pittsburgh and the Young Member Forum. She has been recognized throughout her career for her professional achievements and leadership, and has received the ASCE Edmund Friedman Young Engineering Award and the ASCE-Pittsburgh Young Engineer of the Year Award. And while she feels a sense of accomplishment looking back at her career, “I look forward to what the future holds!” she exclaims. The Pittsburgh ASCE section Younger Member Form (YMF) closed our 2016-17 year in April. This year continued the long standing tradition of providing several events and opportunities for young engineering professionals and students to expand their professional network, gain technical knowledge, and partner with community outreach. In the Fall, we kicked off the year with our annual family picnic at Highland Park where, members and their families enjoyed sunshine and relaxation. This was followed by a partnership with ESWP, SAME, ASHE, EWB, and TauBetaPi for a networking mixer at ESWP. Other networking opportunities for students and young members included the Pirates tailgate and game, a camping trip in Tionesta, PA, enjoying Oktoberfest at Wiggle Whiskey Barrelhouse, and our bowling tournament. These events allow networking in a relaxed setting while helping to showcase businesses and regions within our vibrant city. In December we held our YMF annual dinner on the Gateway Clipper, where beloved University of Pittsburgh professor Dr. John Oyler, PE presented on the “Civil Engineering Heritage of Western Pennsylvania.” He discussed the development and significance the National Historic Civil Engineering Landmarks that are in the Western Pennsylvania area, including the survey of the Mason Dixon Line, the PA Turnpike, and Smithfield Street Bridge. Engaging the audience, he provided the perspective from being on the History Heritage Committee for some of the applications and discussed some other significant regional Civil Engineering accomplishments that could be nominated for this honor. Dr. Oyler concluded with a challenge to the young professionals to pick up the torch of engineering advancements and creativity to create future historic landmarks. 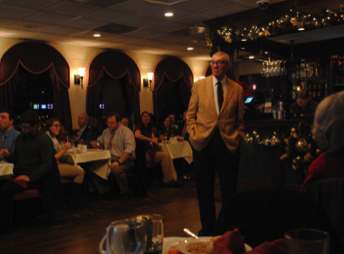 The YMF then rang in the new year at January’s general body meeting which included a highly anticipated presentation on the Sept. 2, 2016 Liberty Bridge Fire and Emergency Repair by Nick Burdette (HDR) and Joe Plummer (PennDOT). Burdette and Plummer discussed the timeline of the fire, assessment, and repair; sharing analysis models alongside details of the complex jacking system used to reset and repair the deformed member. 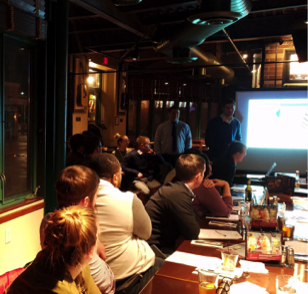 The Eastern Region Younger Members Forum (ERYMC) was also held in January and the YMF sent three members who participated in lectures on ASCE national organization, initiatives, and tips. Events also included practical tips on networking, and a presentation on contract liability language, BEAST. During the annual business meeting a leading vote of abstention was closed on the region’s support towards legislature being submitted in New Jersey this year. This bill would increase the education requirements for taking the PE exam. Additionally, at the ERYMC awards dinner Jeff Jalbrzikowski was recognized for winning the National Outstanding Young Civil Engineer Award in the Public Sector. The YMF ERYMC attendees also brought back the excitement of the sneak peek of ASCE’s Dream Big movie and synergized a group of younger members (and a couple kids too!) to attend the Dream Big Premiere at the Carnegie Science Center on February 17. 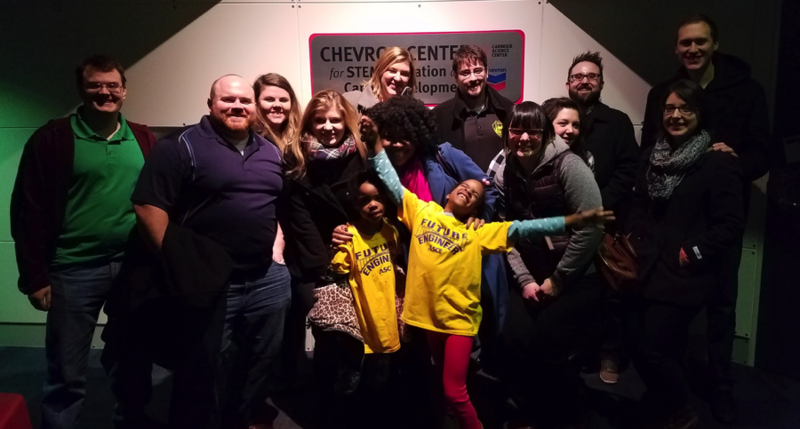 On the topic of the Science Center, the YMF held a casual event at the 21+ night at the Science Center on Construction on April 28, 2017 and where some of the YMF members who missed the Premiere of Dream Big had an opportunity to see it. 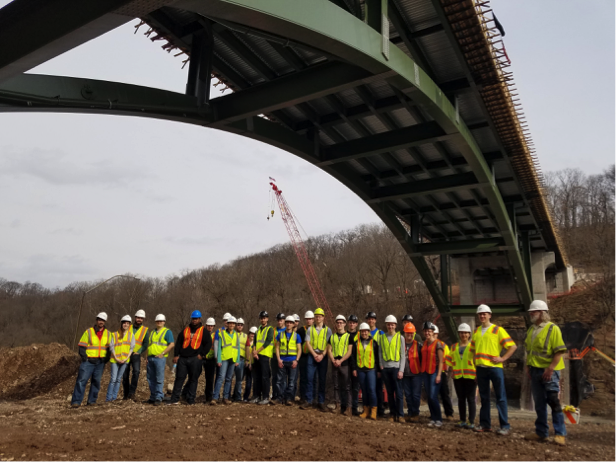 In March the YMF members and students from Geneva College were given a site tour of the Greenfield Bridge. Representatives from Mosites, the City of Pittsburgh, and design firm HDR explained design considerations, construction methods, and answered questions about this historic and publicly identifiable bridge. Also in March the YMF started to reach out to members outside of the Pittsburgh downtown area by holding some roaming happy hours. The first social event was held at the South Pointe All Star Sports Bar & grill on March 3. The second was held in Monroeville at the Rivertowne Pour House on March 30. We plan to have one more social event this year in the Uniontown area and to continue to reach out to members in the upcoming year, so if you work or live outside of the city and have a suggestion for a venue please contact our YMF leadership or leave a comment below! The Pittsburgh section and YMF supported young professionals in developing their leadership skills with positions within the board and committees and in leadership programs and conferences. The YMF sent members Azekah Giffiths, Emily Eichner, and Scott Duda to the Younger Member Leadership Symposium in August. The symposium brought together over 40 YMF members from across the U.S. Over the course of the weekend, attendees participated in workshops designed to improve leadership abilities, refine communication skills, and identify areas for further personal growth and development. 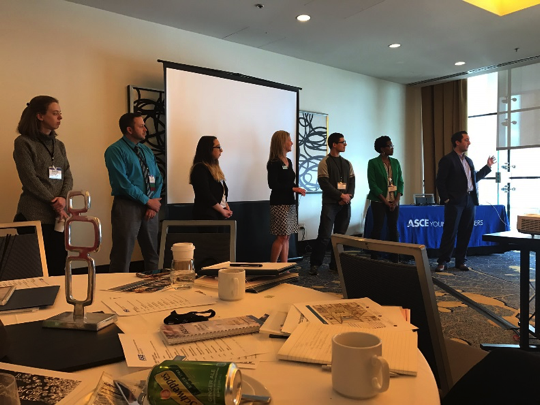 President-elect Erin Feichtner was introduced and participated in the nine-month Leadership Development Initiative (LDI) Pittsburgh. This program brings together emerging young professional from several different industries across the Pittsburgh region. Participants attend lectures one several key elements that help one become an effective leader in work and in community involvement. The program culminates with a PopUp! event in one of the neighborhoods in the Pittsburgh limits where participants work with a community to host a customized event. This year LDI is working with the community of Carrick with the PopUp! event on May 6th. Throughout the year LDI students lead classes and participated on the ACE mentorship program that introduces high school students to the career opportunities in architecture, construction, engineering, and related areas of the building design and construction industry. This is done by designing mock projects, tour local construction sites, and visit architectural, engineering and construction offices. 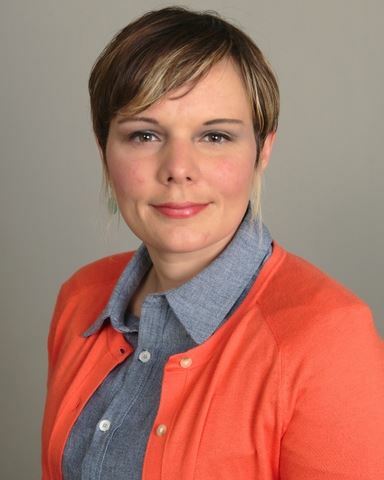 This spring younger member and section director Angela Mayer won the Daniel W. Mead Prize for Younger Members and will receive her award at the National Conference in New Orleans. We ended the spring similarly to how the year started with a Joint Social with ASHE, CAWP, ESWP, PSPE, SAME, & EWB at Mario’s Shadyside on May 5th. So what are you waiting for? 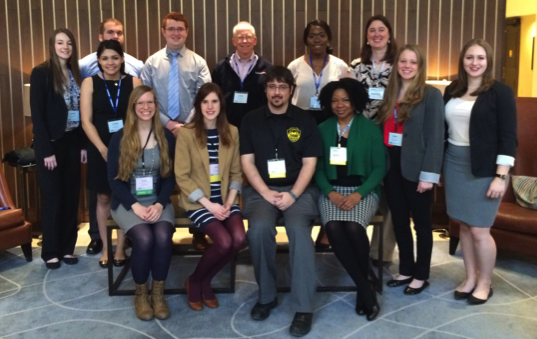 If you are a Pittsburgh civil engineer under the age of 35, then join the YMF now by contacting Erin Feitchner, ASCE Pittsburgh Section YMF President. When most people think of diversity they typically are referring to “primary diversity” factors – those characteristics you are born with, such as age and ethnicity. However, when addressing diversity in a professional setting, there are actually 4 levels of diversity factors that should be considered. Those traits you are born with and are unlikely to change. Those differences that are the result of choice made throughout your life. Those factors developed by workplace structure and roles. How you show and present yourself differently from others. It is only by recognizing and learning to value differences across all four of these categories, and then using them to leverage superior results for our organizations, that we can truly be inclusive. A diverse population that is not included will not contribute, and may leave the organization. A non-diverse population, even if fully engaged, will never produce change. A successful organization will desire differences, rather than just tolerate them, knowing that this produces healthier, more open dialogue and superior performance. The Pittsburgh Section has made an effort to encourage dialogue on this important topic through the use of the “Diversity Minute” at major events. By sharing a quote related to diversity, and allowing members the opportunity to respond, we begin to recognize diversity and foster an inclusive atmosphere. If you are interested in becoming more involved with Diversity and Inclusion efforts through the Section, please contact President Coreen Casadei. By Vishal Patel, P.E., Edited by Gregory Rumbaugh, P.E. 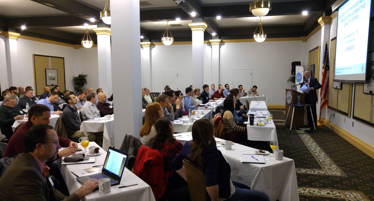 Seventy-four Geo-Institute & Deep Foundation Institute (DFI) members and guests gathered at the Engineers Society of Western Pennsylvania on Saturday, April 8th, 2017 for an ASCE Pittsburgh Section Geo-Institute and DFI Chapter short course. The course was presented by members of the DFI Committee on Augered Cast-in-Place (ACIP) and Drilled Displacement Piles, led by Morgan NeSmith, P.E. (right), presented latest advancements in design methodology, testing, quality control and assurance, and recent case history regarding ACIP piles. A total of ten presentations were presented during the Saturday short course. Morgan NeSmith, P.E. started off the morning session by introducing the committee projects, the development of ACIP, and current installation procedures. He also talked about their commitment to introduce ACIP and its usefulness to various Department of Transportation entities. Following Mr. NeSmith’s presentation, various DFI Committee members of ACIP piles presented about quality control and assurance, design methodologies, case histories, non-destructive testing, challenges in ACIP construction, grouting, and applications of ACIP. 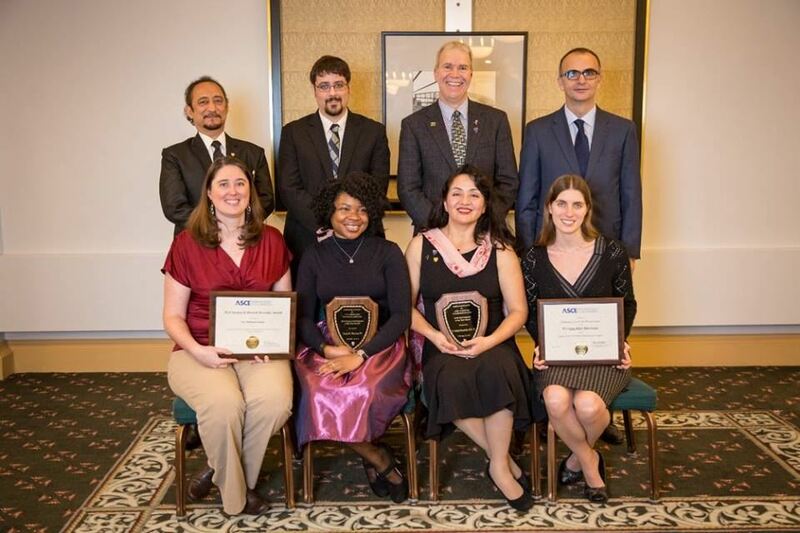 A full list of speakers and their background is available online at ASCE Pittsburgh Geo-Institute web page. The short course took place from 8am to 5:30pm and included a continental breakfast and lunch. The Geo-Institute & DFI were happy to be able to provide up to 7.5 PDHs, including 6.75 hrs accredited for New York professional engineers. The Western Pennsylvania ACE Mentoring program introduces interested High School students to various disciplines within the Architecture, Construction, and Engineering fields. The program runs from October to May, with the students meeting every other week. For the first 6 weeks of the program the sessions focus on introducing some of the major ACE fields: architectural design, civil/site engineering, structural engineering, urban planning, MEP engineering, and construction management. ASCE representatives provided the background presentations and activities for both the civil/site engineering and structural engineering sessions in Fall 2016. For the second half of the program students split into teams to develop the design of a real life local project. Team members will each take on different roles: architect, civil engineer, structural engineer, urban planner, contractor, or mechanical/electrical engineer based on their preference from the first half of the program. Over the course of 4 working sessions the students will meet first with experts representing their assigned project roles to learn more about that field and develop the design. Students will then meet with their teams to coordinate the overall efforts of each discipline. At the end of the program project teams will present their work to a panel of judges and one team will “win” the contract. In the 1960s, access between two neighborhoods, Downtown Pittsburgh and the Hill District, was severed by the construction of I-579 also known as Crosstown Boulevard. With the demolition of the Civic Arena and construction of PPG Paints Arena, redevelopment of the area aims to help revitalize the Hill District. Part of those plans include reconnecting the Hill District to Downtown by ‘capping’ I-579 to eliminate the physical barrier between the neighborhoods. Restoring the connection between the communities will offer more convenient and safer access to opportunities for residents of the redeveloping Hill District including jobs, education, and connections to other neighborhoods and services. Special thanks to HDR Engineering for sharing project information with the students. Each team is to develop a concept for the 3-acre (52,800 square foot) project site. The project will consist of the construction of a new structure spanning over a portion of the below-grade I-579 highway, a developed pedestrian and bicycle network, and an urban open space for gathering, along with a building. The students received an RFP that included deliverables from each of the 6 disciplines. This format allowed the interested students to get more in-depth with their chosen discipline than previous years and allowed the mentors to introduce more advanced concepts and realistic material. ASCE members Linda Kaplan, PE and Karen Mueser, PE led the students of the structural engineering team. These students were responsible for development of the design of the spanning structure over I-579. 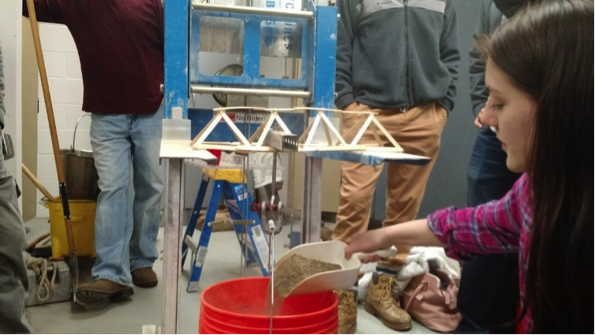 Students used portions of the AASHTO and AISC code, as well as PennDOT standard templates to develop a Type, Size & Location report for their structure. Their final product included load calculations to size the main members, plan and elevation drawings, as well as a written report. Member Nicholle Piper, PE organized the activities for the civil/site engineering group. This group’s deliverables included a site topography plan, stormwater runoff calculations, a site utility plan, and a site plan. The students followed PADEP regulations, City of Pittsburgh code requirements, and a sample zoning ordinance to prepare their deliverables. The students will be presenting their final projects on May 10th, starting at 5:00 pm at the Carpenters Training Center of Pittsburgh off of the Parkway West. The event is open to the public, and ASCE members are invited and encouraged to attend to see the impressive work of these students, future members of our profession. Pittsburgh Section ASCE Civil Engineers volunteer to mentor regional high school students. To join them for the 2017-2018 ACE program. please contact Linda Kaplan or Karen Mueser. Reform structural engineering education. Adopt new educational models to equip students with the broad technical, communications, and critical thinking skills they will need to compete in the global economy. Improve mentoring and continuing education. Develop a national, standardized framework to launch the careers of young professionals, and create a meaningful platform for lifelong learning and constant professional growth. Create a new SEI global activities division. Expand the influence of SEI and our standards overseas, address the needs of a worldwide membership, and position our members as global leaders in structural engineering research and practice. Promote performance based codes and standards. Give structural engineers new tools to liberate them from the limitations of prescriptive code-checking, encourage innovation in their designs, and increase the value of their services. Lead multi-disciplinary summits on technical matters of broad interest. Think outside of the traditional boundaries of structural engineering to identify and apply the most advanced new technologies and science to the practice. Promote the structural engineer as a leader and innovator. Support and encourage the expansion of members’ roles to recognized positions of leadership in society by equipping them with the tools they need to succeed and be recognized by the public. Advocate for structural engineering licensure. In partnership with our peer associations, advance the implementation of the SE license as a post-PE credential to ensure public safety and recognize the unique qualifications of structural engineers. The 2017 Fundraising effort helped to support SEI’s new Global Activities initiatives to grow SEI global presence through resource workshops, an international practice guide, and increasing international sessions at Structures Congress. The fundraiser also created a new SEI Student Competition and provided scholarships for young professionals to attend Structures Congress. Proposals are currently being accepted for new initiatives. 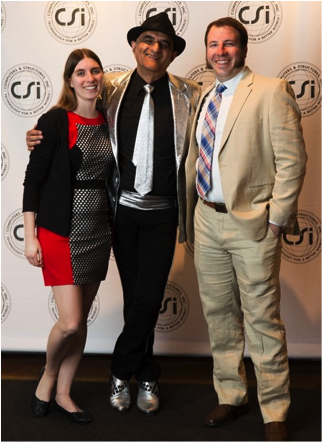 As a fundraiser for the SEI Futures Fund, CSI (Computers and Structures, Inc.) has hosted a gala event for the past two years at the SEI Structures Congress. 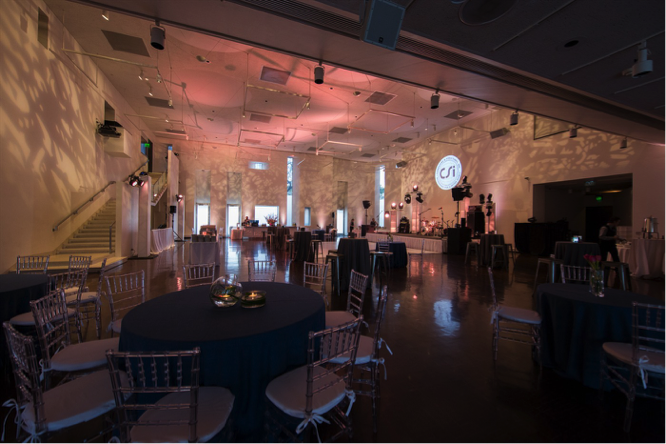 This year, the event was at the Denver Art Museum and had hor d'oeuvres, cocktails, live music and door prizes. The event is sponsored in full by CSI and all proceeds for the event go directly to the Futures Fund. 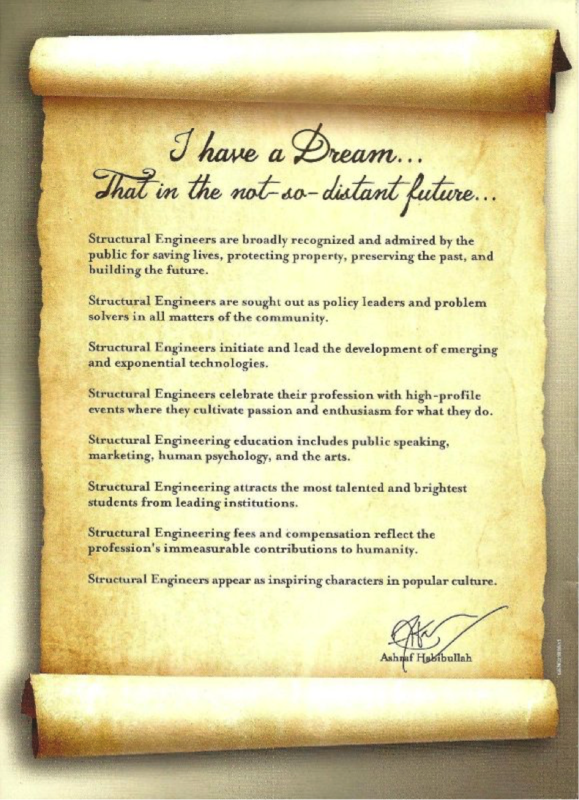 The founder and CEO of CSI, Ashraf Habibullah, attended the event and is a proud supporter of the Futures Fund, and big promoter of the structural engineering profession. I strongly encourage you to consider a donation to the SEI Futures Fund, as it provides the opportunity for our profession to continue to grow and expand to build a vibrant community of structural engineers. You can find out more about the Futures Fund and all of its initiatives at the SEI Futures Fund Website. By Vishal Patel, P.E., edited by Brian Heinzl, P.E. 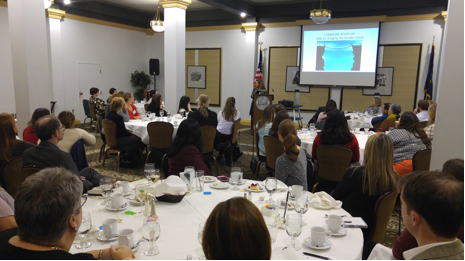 More than 55 ASCE members and guests gathered at the Engineers’ Society of Western Pennsylvania on Thursday, March 23rd, 2017 for an ASCE Pittsburgh Section Geo-Institute and Deep Foundation Institute - Women in Deep Foundation (DFI – WiDF) Chapter meeting. Nancy Watt, a communications professional, writer, trainer, speaker and a graduate of Second City Comedy Improv Conservatory in Toronto, presented a lecture on how to enhance an employee’s communication skills for efficiency, integrity, and achievement at all levels of an origination. Ms. Watt started the presentation discussing the value of noticing gender differences in communication being critically important to stemming the tide of women leaving the geotechnical and foundation industry. 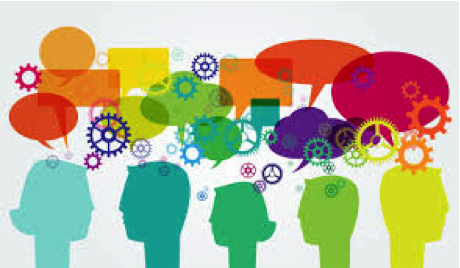 Long seen as soft skills, the cost of poor communication inevitably results in increased employee turnover, poor customer service, ineffective change of management, failed project delivery and high litigation costs. The presentation was orientated around various improvisational activities and discussions between attendees to improve communication, expand women’s mobility in the workplace, and cultivate integrity and achievement in all facets of an organization. It was a very atypical civil engineering gathering. In fact, the speaker pointed out that it was very unusual for the men to be the minority of the group in technical meetings. The meeting was very interactive with several one-on-one improvised conversation skits and other thought-provoking communication activities engaging all of the participants. Ms. Watt presented a brief discussion of the results to provide feedback regarding body language and other nonverbal communication observations. Congratulations to all of the participants and thank you for your enthusiastic support of the Women in Deep Foundations and the Geo Institute! The Geo-Institute & DFI-WiDF were happy to provide 1.0 PDH for the presentation along with a great venue for social hour and dinner. Every spring, ASCE holds its Legislative Fly-In Program in Washington, DC, an intensive two-day program that provides participants with an inside look at the public policy process. On March 15th, while Winter Storm Stella wreaking havoc along much of the Northeast, over 200 ASCE Members representing 49 different states attended the 2017 American Society of Civil Engineers (ASCE) Legislative Fly-In. Many of the attendees were impacted by the storm but still found a way to DC, a testament to their passion for advocacy concerning what they know best. The 2017 Legislative Fly-in program featured a day and a half of in-depth briefing sessions on the recently released 2017 Infrastructure Report Card, key legislative action in Congress, training on raising awareness and influencing elected leaders, networking with ASCE peers from across the country, a Younger Members Program, and tips on continuing relationships with elected officials after returning home. 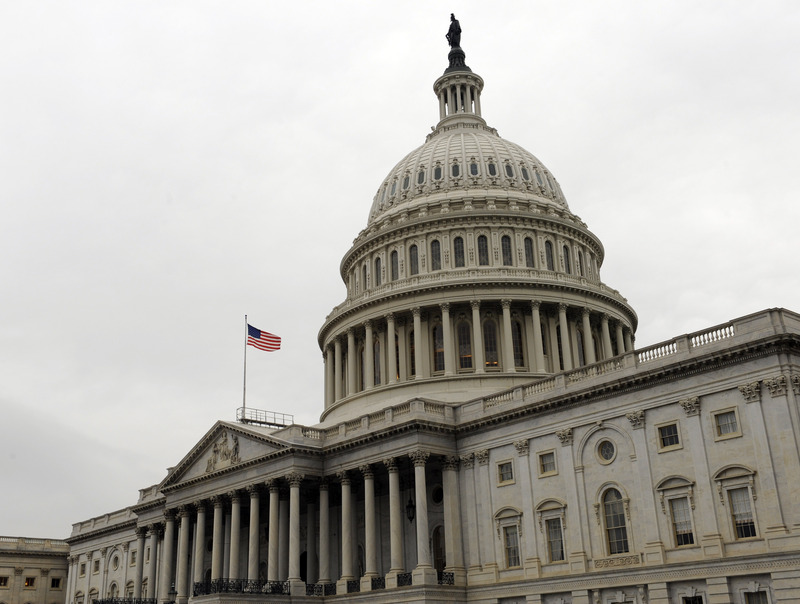 The program culminated in one-on-one meetings on Capitol Hill with members of Congress and their staff. The delegation from Pennsylvania included Mr. Jason Bowes, Central PA Section Government Relations Committee Chair and State Advocacy Captain; Mr. Jesse Gormley, Philadelphia Section Member; Mr. Joseph Natale, Philadelphia Section Member; Ms. Adrienne Nikolic, Philadelphia Section Member; Mr. John Caperilla, Lehigh Valley Section Government Relations Committee Chair and Mr. Gregory Scott, Pittsburgh Section Government Relations Committee Chair and Federal Advocacy Captain. 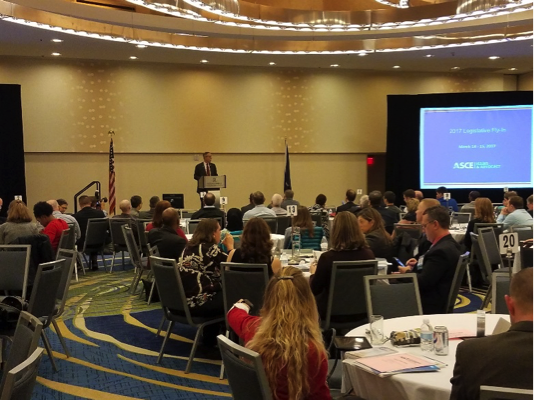 The ASCE Government Relations staff scheduled meetings for each of the attendees with their Senate and Congressional Representatives within a short window on Wednesday afternoon. After being dropped off at Capitol Hill, Team Pennsylvania was off to the races to meet with both Senator’s and every team member’s Representative, as well as other Pennsylvania Representatives with a numerous ASCE member constituents. As the afternoon progressed, the group had an opportunity to engage in spirited and encouraging discussions with staff and Representatives from their home Districts as well as those identified as staff of ‘key’ Representatives who serve on infrastructure related and appropriations committees. The meetings lasted 15 to 30 minutes each, and a leave behind packet was given to the Legislator or staff member containing an overview of current key issues. Most discussions began with a brief overview of the results and conclusions of the 2017 Infrastructure Report Card, which assigned America an overall grade of a D+, unchanged from 2013 and indicating the continuing needs for infrastructure investment. The Report highlighted that while the benefits were seen in seven categories where investments were made, three categories continued to fall short, and the remaining categories were holding steady, resulting in a lower of grades. The focus of all discussions was the need for consistent and sufficient funding, and the requirement of bold leadership from all. One of the key items discussed were the FY17 and FY18 Spending/Appropriations Bills so that the FAST Act’s increased funding can take effect during this fiscal year and next. Congress passed the five-year surface transportation act in December 2015 and included an increase in funding to help improve the nation’s highways, bridges and transit systems. Most of the legislators were on board with the appropriations, however there seemed to be a lack of commitment without knowing what the new Administration’s Budget would contain. If a Continuing Resolution (CR) is passed, then Pennsylvania will miss out on over $115 million dollars for FY17 alone due to the lack of a Fast ACT Appropriations Bill ($1.58 billion up to $1.69 billion). Additionally, the team discussed several water issues with the Representatives and staffers that included the Clean Water State Revolving Fund (SRF) and the Drinking Water State Revolving Fund. We asked the Representatives and Senators to reauthorize the Clean Water and Drinking Water SRF’s which hasn’t been done since 1990 and 1994. With most of America’s drinking water and wastewater infrastructure in need of repair and many areas dependent on these funds, the team advocated for both SRF’s to be tripled in appropriation from $1.39 Billion to $4.17 Billion for the Clean Water SRF and $863 million to $2.58 billion for the Drinking Water SRF in accordance with President Trump’s commitment to triple the SRF’s. In 2016 after years of work the Water Infrastructure Investment for the Nation (WIIN) Act passed through Congress and was signed by the President. WIIN supported previous pieces of legislation but Congress has yet to appropriate the promised funding in any of them. In 2014, Congress reauthorized the National Dam Safety Program (NDSP) in the Water Resources Reform and Development Act (WRRDA) and established new High Hazard Dam Rehabilitation Program to provide grants to high hazard non-federal dam rehab repair or renewal. The NDSP program is authorized at $13.9 million a year until 2019 and the federal rehab program is authorized at $445 million over 10 years though neither have received any funding. In addition to dams, the team discussed the Levee Safety Program. With the WRDDA Act of 2014, Congress established a new levee program to promote consistent safety standards, create levee guideline, and provide funding assistance to the state for establishing participating levee safety programs. The program is authorized for $395 million dollars over 5 years however it has not received any appropriations for funding. Lastly, with the push for tax reform and the discussion that is forthcoming including all tax exemptions, ASCE took the opportunity to remind legislators that tax-exempt municipal bonds are often relied upon for municipalities to complete infrastructure projects. The team discussed the importance of maintaining their tax-exempt status as just one of many ways to trim our infrastructure deficit. This year will be a busy one for the ASCE PA Government Relations team, with a State Infrastructure Day (Fly-In) scheduled for May 9th and efforts for the 2018 Report Card for Pennsylvania’s Infrastructure kicking off in the fall. If you are interested in participating in either of these events, please contact the Pittsburgh Section Government Relations Committee Chair, Greg Scott, at gscott@bucharthorn.com. For more information concerning the ASCE National Fly-In please visit http://www.asce.org/legislative_fly-in/. Also, consider becoming a Key Contact at http://www.asce.org/keycontacts/ to stay engaged with advocating for infrastructure and public policy. By Vishal Patel, P.G., edited by Brian Heinzl, P.E. More than 75 ASCE members and guests gathered at the Gaetano’s Banquet Restaurant on Thursday, February 23rd, 2017 for an ASCE Pittsburgh Section Geo-Institute Chapter meeting. Dr. Suresh K. Gutta, P.E. 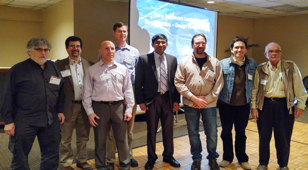 of American Geotechnical and Environmental Services, Inc. presented the lecture “New Baltimore Landslide Remediation – Design Perspective.” The presentation focused on monitoring an active landslide, remedial design methods, and construction observations. In 1940 the Pennsylvania Turnpike was constructed mostly along the path of the original alignment of the old South Penn Railroad, and thus passed through the Borough of New Baltimore, PA, and the Allegheny Mountains. 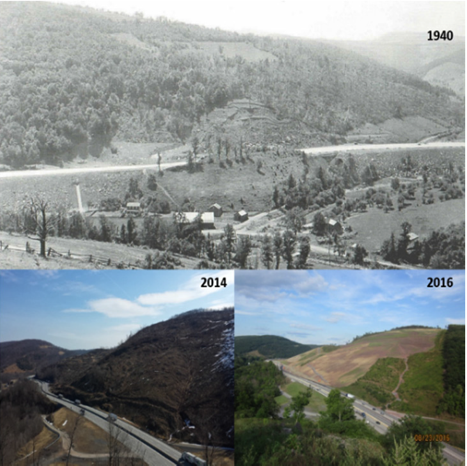 The original construction reactivated an ancient landslide, referred to as the ‘New Baltimore Slide’ that had occurred in the geologic past due to undercutting of the mountain slope by the Raystown Branch of the Juniata River, which lies in the valley just beyond the limits of the present Turnpike alignment. 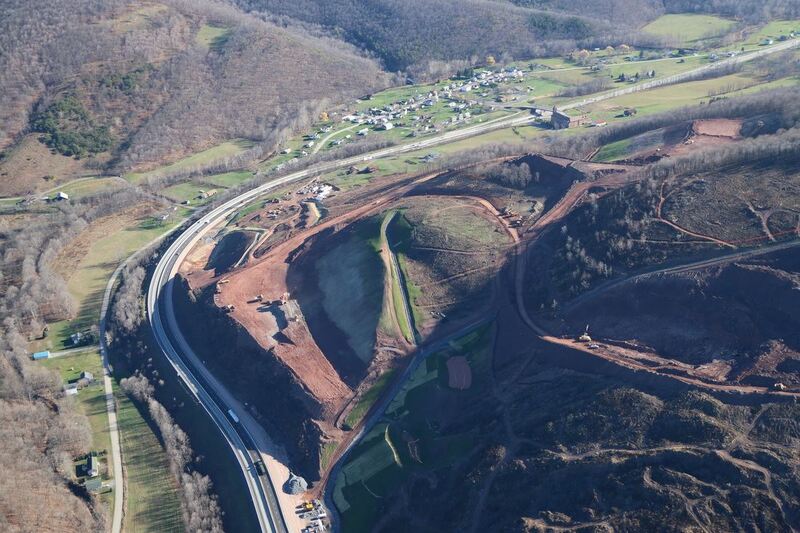 This reactivated slide zone extends to 800 feet along the roadway alignment and 1,500 feet upslope. An average of 60 feet of soil and bedrock overburden has been slowly sliding along a weathered clay-rich siltstone failure plane for over 70 years, resulting in a recorded movement of 13 feet and causing major cracks along the mountainside. The current widening and the reconstruction of the Turnpike required the removal of the toe support of this active slide. Dr. Suresh Gutta talked about the how the design involved characterizing the failure mechanism, the challenges of installing geotechnical instrumentation in the rugged mountainous terrain, and the technologies used to record and report the data remotely. The talk also addressed the design treatments required to stabilize the slide mass, including the development of a specific sequence of construction, and safety systems necessary for the protection of traffic during construction. Construction of the remediation was completed in September 2016. Attendees earned 1.0 PDH for the presentation. The February meeting also brought out a number of the past Pittsburgh Geo-Institute Chairpersons. We seized the opportunity to capture a ‘geotechnical cross-section’ of these stewards of our professional society. Thank you all for your contributions in making our local Geo-Institute Chapter such a longstanding, successful program. James V. Hamel, PhD, PE, PG. The YMF would like to announce the winners of their annual Pittsburgh Penguins Hockey Ticket Raffle. Hockey tickets were donated by HDR, Inc.. The tickets were pulled at this year's YMF bowling tournament held on 2/25/17 at Noble Manor Lanes. Two winners were selected, each winning a pair of tickets to the March 17 Penguins game. The winners were Shirley Clapperton, who bought her ticket from YMF President, Lou Gualtieri, and John Buechli, who bought his ticket from EWB Liason, Emily Eichner. Congratulations Shirley and John.